Slovenia’s stunning tourist attractions such as Bled, Postojna Cave, and Ljubljana are known among travelers from all over the world. 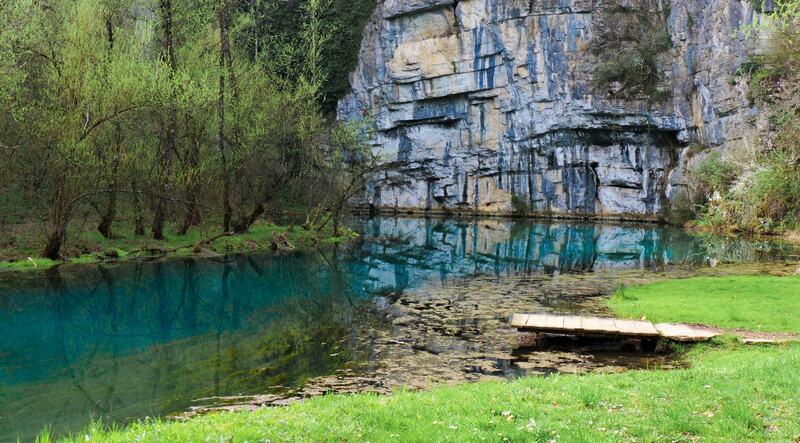 Despite the small size of the country, there are many more beautiful places to discover in Slovenia if you are willing to step off the beaten path. Hell Cave is an ideal destination for exploring the intriguing karst underworld of Slovenia without facing crowds at the more known tourist caves. Hell Cave’s unusual name comes from the local belief that the devil resides in the cave and is responsible for the steam billowing from cave’s dark entrance. On a one-hour guided journey through the cave visitors can admire stalactites, stalagmites, columns, the tallest underground waterfall in Slovenia and other creations that took millions of years to form. 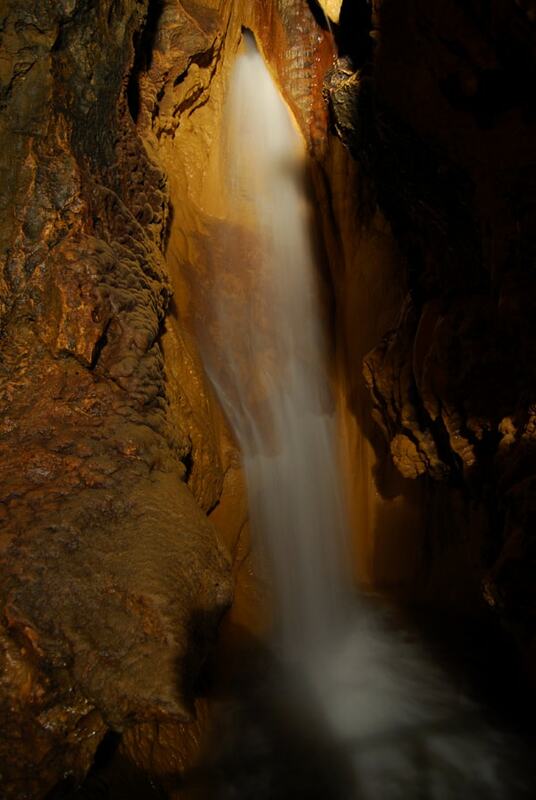 Waterfall in the Hell Cave| Courtesy of Tourist Association Sempeter v Sav. Dol. 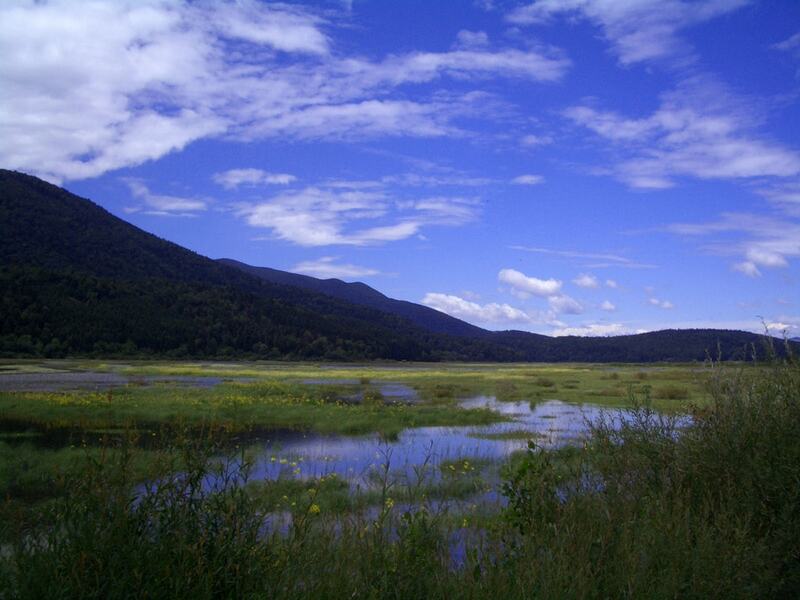 Lake Cerknica is one of the best-kept secrets in Slovenia. This intermittent lake is one of the largest in Europe and a fun place to visit any time of the year. In the eight months a year when it’s filled with water, the lake is great for boating in warmer months or ice-skating in the winter time. In the remaining four months the water descends to the caverns and reservoirs underground, and the area of Lake Cerknica dries out. The dry season is the best time to observe the more than 276 species of birds and 125 species of butterflies that make the lake bed their home. Mithraeums were temples dedicated to praising the god Mithras, located across Europe, during the Roman period. The remains of one of the temples was found in Slovenia near the small town Rožanec. The temple was set in an abandoned Roman quarry, dating back to the 2nd century. Visitors of the remains get a unique opportunity to see the hand cut relief of Mithras sacrificing a bull. The Rožanec Mithraeum is a definite must for all history lovers visiting Slovenia. Pokljuka is a karst plateau located in Slovenia’s Triglav National Park. The Plateau, covered in pine tree forest and pastures, is a perfect getaway from those who wish to escape the city life and enjoy peaceful nature. In the summer, Pokljuka is a popular starting point for hikes to the surrounding mountains, and in the winter, it is an important cross-country skiing destination, hosting international biathlon competitions. On long walks across the plateau visitors can observe above ground karst formations and stop by typical shingle-covered wooden cottages for a serving of traditional sour milk. 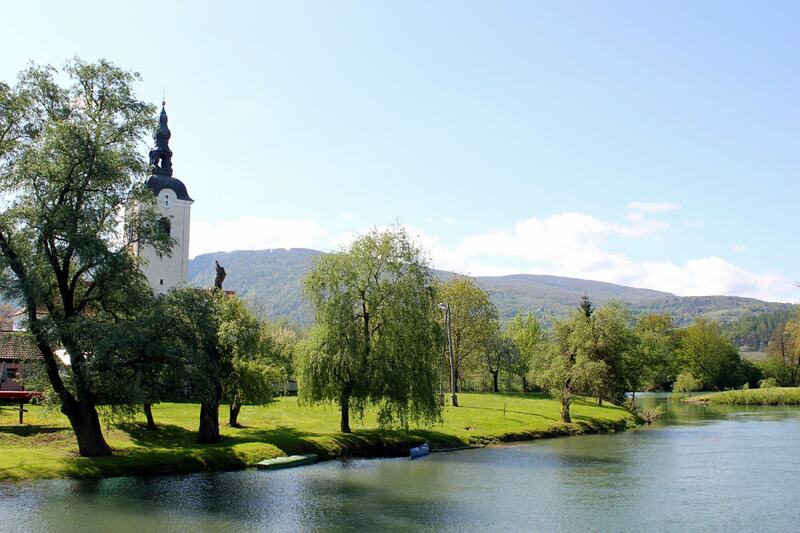 The spring of Krupa is located nearby the small town of Semič. This small spring emerges from underneath a 98 foot rock and can be admired all year around. This unique spring setting, combined with the surrounding green forest, a short pier on the water, and an abandoned house on the bank, create one of the most fairytale-like places in Slovenia. This stunning setting is a real gem for photographers of all skill levels. Kostanjeivca na Krki is the smallest town in Slovenia. It is not only the size that makes this town special, it is also the town’s setting that makes it unique. The central part of the town, consisting of only two streets, is located on an artificial island on the Krka river. The must-see tourist attractions in the town are the two churches located on the island, and a former monastery, Fons Sanctae Mariae Cistercian Abbey, is located off the island. The latter is considered the most stunning architectural structure in the town and nowadays hosts the Božidar Jakac Art Museum and the Forma Viva Open Air Wood Sculpture Collection. 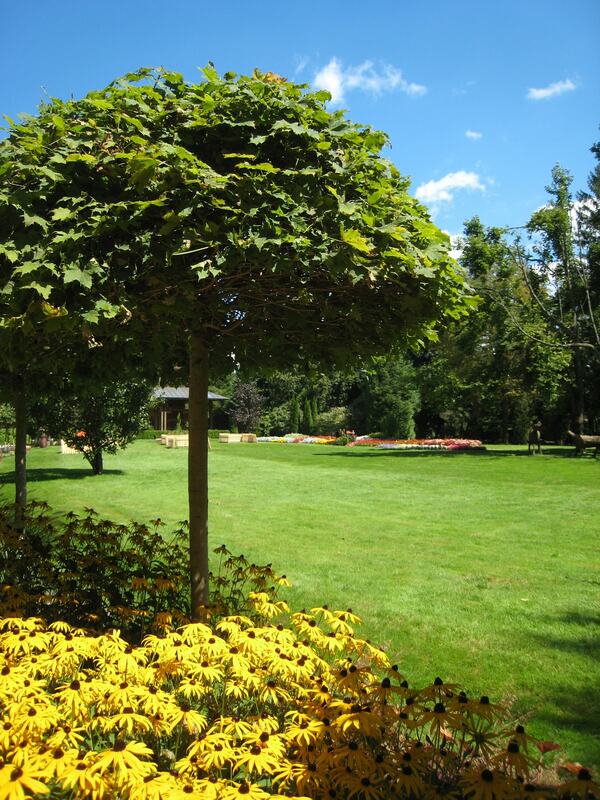 Mozirski gaj has been one of the most beautiful flower parks in Slovenia for over thirty years. Between mid-April and the end of September, visitors can stroll among flowerbeds that showcase millions of flower blossoms. Traditional buildings, such as the farmhouse, the blacksmith’s workshop, the bee house, and the mill, are positioned all over the park, portraying traditional life in the region. A special treat for visitors is the 60 foot tall tower they can climb that allows them to admire the gorgeous view of flowers from above. In the past, mills were important part of Slovenian everyday life. On the banks of rivers, a special kind of floating mill was used to grind wheat and other grains. With the development of more modern technologies, most of the mills were abandoned or destroyed. Out of the 69 floating mills on the Mura river only Babič Mill survived. Visitors to this still operating mill, have a one of a kind opportunity to step back in time and observe traditional everyday life on a floating mill.